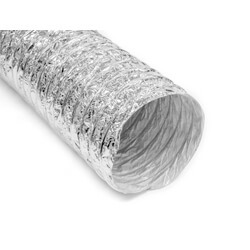 Flex Ducts are light-weight, fully insulated, easy to install, and high quality. Ducts like this are the key to maximizing the efficiency of HVAC units. Quality duct is essential to maximize the efficiency of central air conditioning units. 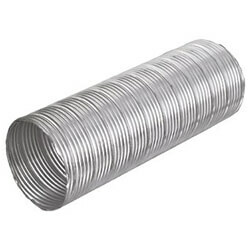 Flexible duct is quality duct and has become the most popular type of duct used in HVAC systems. 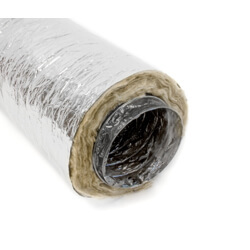 Flex ducts can be used for heating, ventilating and air conditioning systems in both residential and commercial applications. They are light-weight, fully insulated and easy to install. 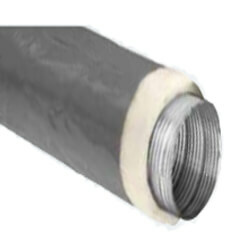 Our website offers a variety of residential flex ducts, air connectors and sleeves manufactured by Hart & Cooley. 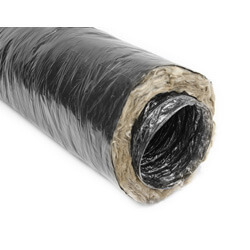 These flexible duct products are designed to remain mold and mildew-free throughout their lifespan. 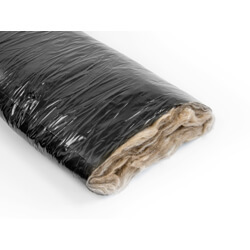 Hart & Cooley's residential line of flexible ducts contain formaldehyde-free insulation, which is substantially less irritating than traditional insulation. The residential series is made of a double ply polyester core with an encapsulated wire helix, and is available in either a black or metalized polyester jacket. This flex duct is Greenguard for Children & Schools Certified and Greenguard "Highly Microbial Resistant" rated (level 4), making it the most highly certified flexible duct in the industry.